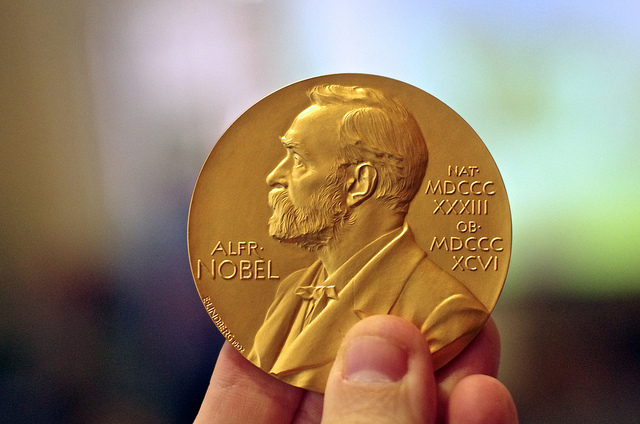 Article Everyday culture What do you know about the Nobel Prize? The Nobel Prize is one of the world's most famous awards.This name has been referred to as Alfred Nobel, He is a Swedish national and considered the spiritual father of this award. He was one of the people who distinguished himself in many fields, such as engineering and chemistry. He was the inventor of dynamite, The Nobel Prize was approved by the Nobel in his will before his death. The will was documented on November 27, 1895, and is presented to people who are created in a particular field worldwide. The amount of money is about one million dollars, and that was in 1901, and if the award to more than one person in the same area, the money is divided between them, knowing that does not require equal share when dividing the money. Any member of the Government. University professors in the field of law, history, philosophy and other fields. Heads of institutes specialized in research in the field of peace or similar institutions. Malala Yousafzai: She is a Pakistani national and has reached the age of seventeen when she won the Nobel Peace Prize in 2014. Raymond Jr.: He was eighty-eight when he was awarded the Nobel Prize in 2002.